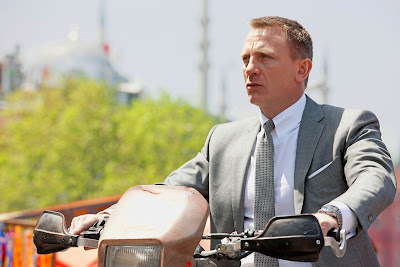 In SKYFALL, to be released in autumn of 2012, James Bond will take to the screen for the 23rdtime with Daniel Craig again assuming the role of the world’s favourite secret agent. 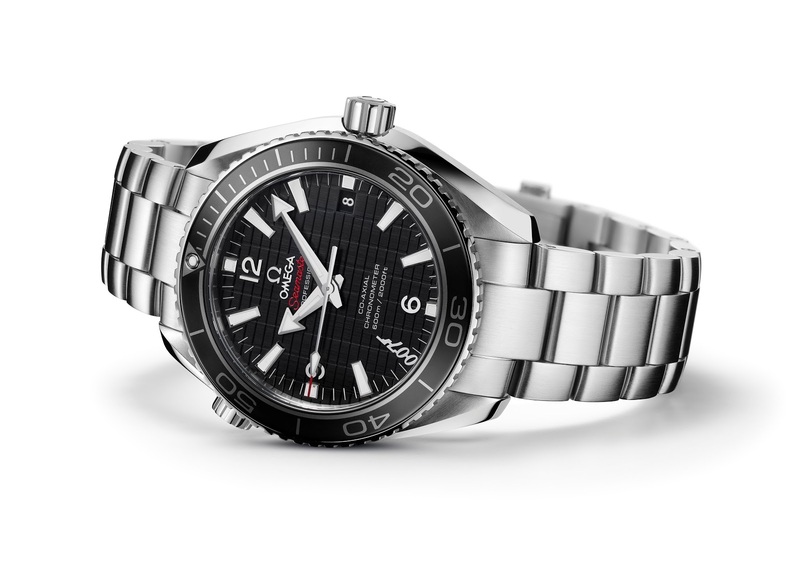 And once again, 007 will wear an OMEGA Seamaster. Like every Planet Ocean, the new watch is ready for underwater adventure. Equipped with a unidirectional rotating diving bezel and a helium escape valve, the watch is water resistant 60 bar / 600 metres / 2000 feet. ﻿The applied indexes on the matt structured black dial are coated with white Super-LumiNova emitting a blue light as are the polished, facetted rhodium-plated hands. The exception is the minute hand which emits a green light, as does the dot on the diving bezel. This feature makes it easy for divers to keep track of their time at a glance. At the 7 o’clock position is a 007 logo and at 3 o’clock, there is a date window. 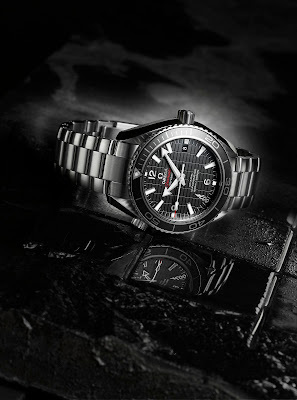 The Seamaster Planet Ocean 600M SKYFALL Limited Edition is powered by OMEGA's exclusive new Co-Axial calibre 8507. SKYFALL 007 is on its rotor in black-varnished engraving. The movement is visible through sapphire crystal in the brushed screw-in caseback. Along with OMEGA’s industry-changing Co-Axial technology, the watch is equipped with an "Si14" silicon balance spring. The combination is so stable and reliable that the Planet Ocean comes with a full four-year warranty. The Seamaster Planet Ocean 600M SKYFALL wristwatch is being produced in an edition limited to 5,007 pieces and is delivered in a special presentation box.